Welcome to the Internal Medicine Practices of Drs. Cahn-Hidalgo, Minnella, Plain, Tan, and Yoon. Our independent office has been serving the Rochester community for many years, offering personalized care for our patients. As a Patient Centered Medical Home (PCMH), we provide a comprehensive health care team to support you and help you achieve the best possible health outcomes. Customer service and high quality care are our primary goals. We achieve these goals by developing a meaningful and long lasting relationship with each of our patients and incorporating evidence-based guidelines in our care approach. For our current patients, we encourage you to contact us using our Patient Portal. If you have not yet registered for the portal, please call us and provide your email address or email us now using the Contact Us page. We can register you today! If you have registered and already have a username and password, please click the button below to access the portal. Are any of our physicians accepting new patients? The answer is, sadly, no. Our patient panels are currently full. One of the best resources to search for a primary care physician who is accepting new patients is the Accountable Health Partners website. Please click HERE to access their provider search page. We are proud to report that we scored 99 of 100 points for NCQA's criteria, officially an A+! We will continue to maintain this certification over the coming years, knowing we can always do better, striving for the best care possible. We are pleased to announce that we now offer online bill pay. Please visit our online payment page using the button below to pay your bill online, or click here to visit the online payment FAQ page for answers to any questions you may have. We will be periodically sending out a newsletter with important information for our patients. Check your emails for the first newsletter or click here to visit the newsletter page to sign up as well as view a web version. In April of 2016, we began asking patients to complete a standardized patient satisfaction survey. If you have completed a survey, we thank you. The results of the survey will help us address areas where we can improve. Although we know we can always do better, we are proud to share that our doctors and staff receive higher satisfaction results as compared to other providers in the Rochester area and other providers nationally. Through the aging process, it is inevitable that your needs change, eventually requiring more help than can be provided in your own home. This may occur as a result of a hospitalization or an identified safety issue at your home. Either event may lead to a transition of your living situation to a short stay in rehabilitation or a nursing home. When a more permanent transition is indicated, an independent living center or assisted living may offer the solution. This process can be overwhelming for you and your family to navigate independently. We are here to help you with your care transitions. The graph above illustrates work completed by our care manager in the past year assisting with transitions of care for patients in each practice. Transitions of care has grown steadily from just five patients in the second quarter of 2016 to19 patients assisted in the first quarter of 2017. In the course of one year, a total of 49 patients and families have utilized this specialized service from our care manager, with expected growth to continue moving forward. Our providers regularly refer patients to our care manager for help with care transitions. If you or your loved one require this service, or would like to review all the services provided by our care manager, please visit our Care Management page by clicking here. 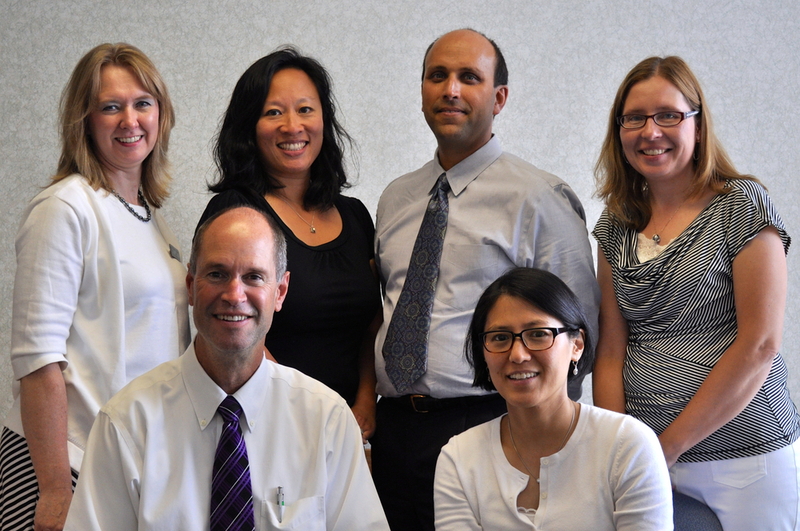 All our physicians participate in the Accountable Health Partners Network. For more information, go to www.ahpnetwork.com. Certification of Recognition from the National Committee for Quality Assurance. Our providers are recognized at Level 3 Achievement of Recognition for Systematic Use of Patient-Centered, Coordinated Care Management Processes.